Tech Mahindra Walkin Drive For Freshers in Noida From 17th to 20th Jan 2017. Tech Mahindra Job openings for Graduate students. Contenders must have International experience in an International Voice Program. Candidates who will qualify the written examination have to clear the Interview round then the qualified applicants will be appointed as Associate, Senior Associate – (Non Technical) post. So candidates who are preparing to attend Tech Mahindra Walkin Drive can refer sample Tech Mahindra Placement Papers which may help you for getting the good score in the test. Interested and eligible candidates can see the further details and attend at below mentioned venue. You can also see other Tech Mahindra jobs, Tech Mahindra syllabus and test pattern in our portal. Tech Mahindra is part of the US $15.4 billion Mahindra Group and is a leading global systems integrator and business transformation consulting organization, focused primarily on the telecommunications industry. Tech Mahindra helps companies innovate and transform by leveraging its unique insights, differentiated services and flexible partnering models. This has helped customers reduce operating costs, generate new revenue streams and gain competitive advantage. Tech Mahindra expanded its IT portfolio in 2009 by acquiring the leading global business and information technology services company, Mahindra Satyam (earlier known as Satyam Computer Services). Tech Mahindraâ€™s capabilities spread across a broad spectrum, including Business Support Systems (BSS), Operations Support Systems (OSS), Network Design & Engineering, Next Generation Networks, Mobility Solutions, Security consulting and Testing. Tech Mahindraâ€™s solutions portfolio includes Consulting, Application Development & Management, Network Services, Solution Integration, Product Engineering, Infrastructure Managed Services, Remote Infrastructure Management and BSG (comprises BPO, Services and Consulting). With an array of service offerings for TSPs, TEMs and ISVs, Tech Mahindra is a chosen transformation partner for several leading wire line, wireless and broadband operators in Europe, Asia-Pacific and North America. Tech Mahindra has successfully implemented more than 16 Greenfield Operations globally and has over 130 active customer engagements mostly in the Telecom sector. The company has been involved in about 8 transformation programs of incumbent telecom operators. Tech Mahindra has a global footprint through operations in more than 31 countries with 17 sales offices and 15 delivery centers. Assessed at SEI CMMi Level 5, Tech Mahindra’s track record for value delivery is supported by over 40,500 professionals who provide a unique blend of culture, domain expertise and in depth technology skill sets. Its development centers are ISO 9001:2008 & BS7799 certified. Note: Mention reference of Manpreet Sachdeva on your CV. 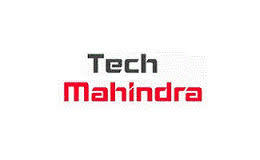 We hope the information provided on Tech Mahindra Recruitment is helpful for your job search. If this job doesn’t suit you then you can look for more Freshers Jobs in our Website. Keep visiting All India Jobs for regular Job Updates, off campus drives, walkin interviews, referral and many more.